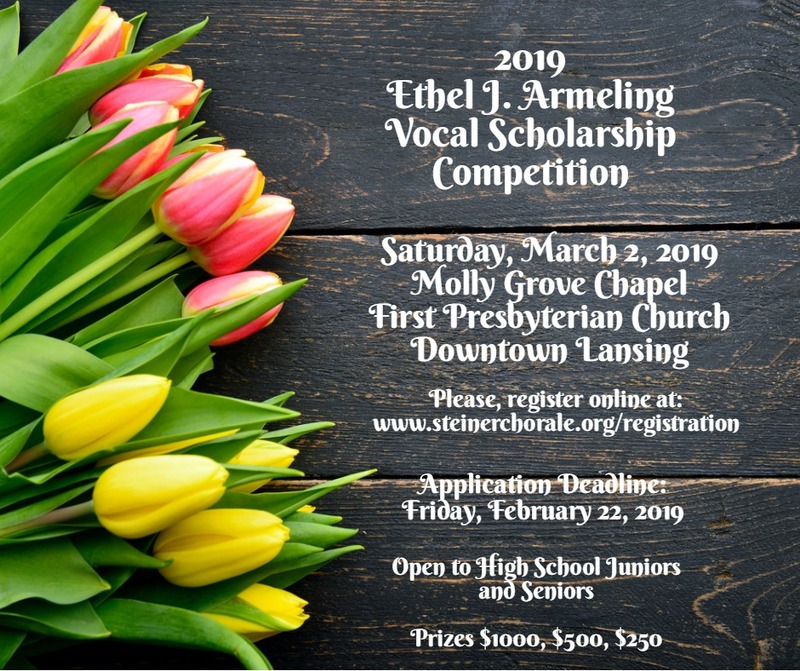 Since its inception, the Steiner Chorale has been an adult, auditioned, quality ensemble providing fine music in Mid-Michigan. 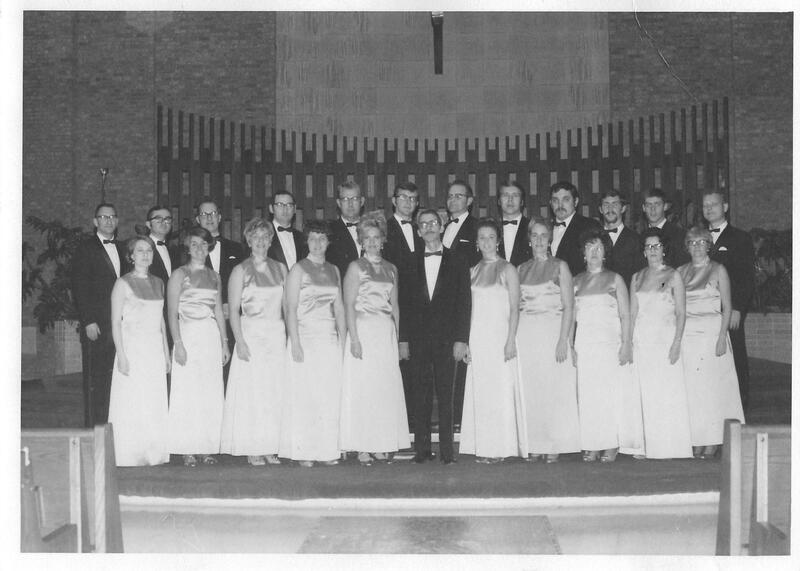 East Lansing High School choral teacher William “Bill” Steiner and members of the community first formed The Steiner Chorale for the 1968-69 concert season. See newspaper article of first performance. 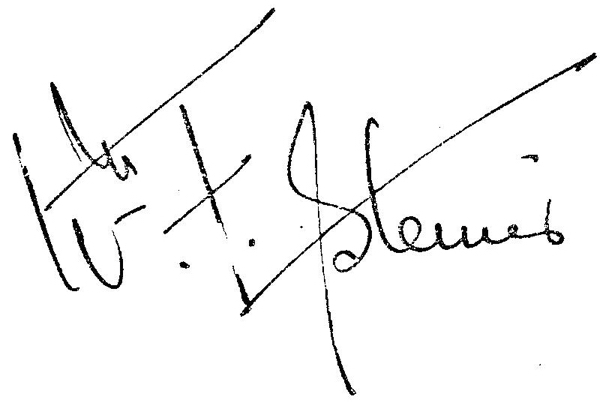 Bill Steiner’s tenure as director was tragically cut short when he passed away in June 1971. Chorale members were determined to continue his legacy and performed the Brahms Requiem in memoriam in the Fall of 1971. 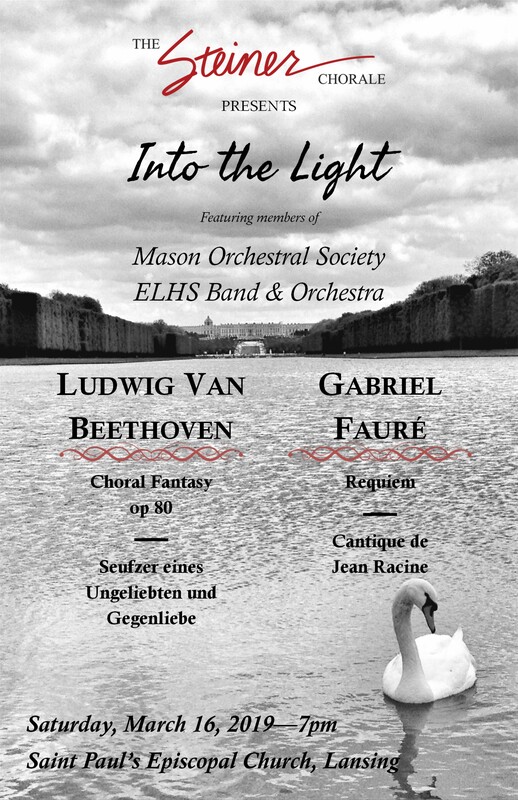 Over the ensuing years, this community-based chorale has attracted many gifted conductors and singers, and developed a reputation for high quality performances of traditional works as well as non-traditional choral music. Works ranging from the sublime to the ridiculous, and covering virtually every musical period, primarily within western music genres including short choral works, masterworks, commissioned music, jazz, pop, Sometimes serious, sometimes for fun. Always with a goal of high quality performance and audience enrichment. Currently the choir boasts a roster of 40-plus voices and is incorporated as a 501c3 non-profit organization.